The audience for Hearing Things: Music by Judith Shatin heard some exciting music in Old Cabell Hall on April 6, 2019. The retrospective concert was part of Shatin Music Month. Shatin founded the Virginia Center for Computer Music in 1987 and guided its growth through her retirement. The concert included works created at the Center, as well as some that didn’t use electronics. The electronic works “Hosech Al P’ney HaTehom” (1990) and “Tape Music” (2015) showed what a difference 15 years can make. Both employed sounds of indefinite pitch, used as motifs to be varied and developed. “Hosech” used stereo speakers, “Tape Music” 5-channel surround. “Tape Music” had (to my ears) a more detailed sound. Analog vs. digital? Using five channels (as opposed to two) gave Shatin more options for spacial development, yielding a more interesting work. “Three Summers Heat” (1990) and “For the Fallen” (2013) used a live performer with electronics. 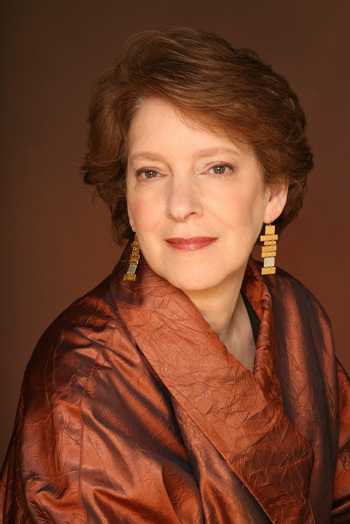 “Heat” featured mezzo-soprano Jennifer Beattie and stereo soundtrack. Beattie’s voice was miked. It put her on par with the electronics but gave her voice a somewhat metallic edge. Adam Carter’s cello was also miked for “Fallen.” In this case, it didn’t change the timbre of the instrument. The electronics served different roles in the two works. In “Three Summers Heat,” they accompanied the voice, occasionally mimicking and harmonizing with it. In “For the Fallen” they deconstructed a tolling bell, providing a somber sonic atmosphere for the elegiac cello solo. Three works had no electronics. “Werther” (1984) is a chamber work for flute, clarinet, violin, cello, and piano. It featured minor second tone clusters and episodic bursts for sound. “Vayter un Vayter” (2012) for bass singer, clarinet, cello, and piano showed just how far Shatin’s style developed. Shatin set three of Abraham Sutkever’s Yiddish poetry in a manner inspired by Schubert. Bass singer David Salsbery Fry recited English translations of the poems immediately before the performance. It helped the audience appreciate how Shatin illustrated the Yiddish text. The deeply personal connection Shatin has with these poems (and the culture they represent) resonated with the audience. That and the superb performance of the musicians prompted a standing ovation and three curtain calls. For me, the highlight of the concert was “Fantasy on St. Cecilia” (1997). Based on her piano concerto “The Passion of St. Cecilia,” the fantasy distills the essence of that music into a version for solo piano. Gayle Martin, who commissioned the work, performed. And what a performance! It was 16 minutes of raw emotion barely contained by 88 keys. We heard tone clusters from by arms slamming on keys, frantic bursts of intricate, atonal runs, and stop-on-a-dime mood and tempo changes. Martin owned this work. I could see her singing along with this complex music. It was thrilling. Those of us fully appreciated what we just experienced gave her a standing ovation.